has been awarded the Tripadvisor Certificate of Excellence , 2012 - 2015; the Thanadsri Shuan Shim Seal and has been voted one of Thailand's Best Restaurants by Thailand Tatler Magazine. 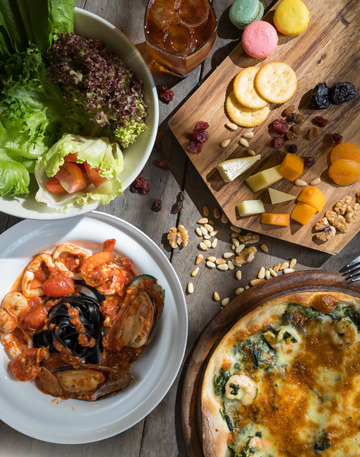 This highly respected and widely admired restaurant is famed for its classic Italian cuisine with home-made pizzas and pastas. It also offers a renowned breakfast buffet, a lunch buffet and superb Thai delicacies. 6 a.m. to midnight daily. 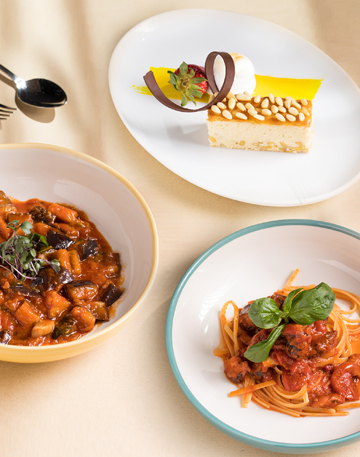 Imagine that you have just stepped off the boat on the sun-drenched Amalfi coast and you are ready for an exciting and satisfying local dinner. Prego! Every day 11 a.m. - 2 p.m.
Join us for a sumptuous buffet lunch featuring a wide selection of Thai and Italian dishes. 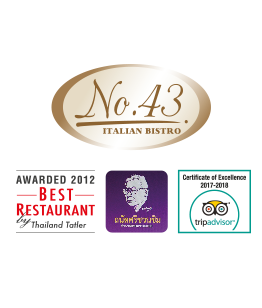 Enjoy homemade gourmet pastas, tasty pizzas and many other Italian specialities as well as an array of excellent Thai dishes. The buffet also includes desserts, hot coffee and tea. 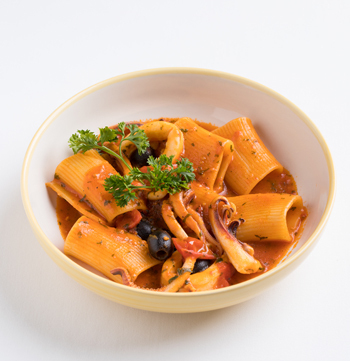 Fine Italian dining in the heart of Bangkok Located on the ground floor of Cape House Hotel, Bangkok. 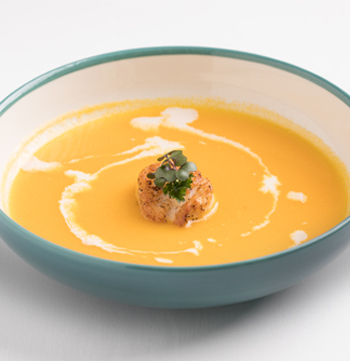 A rich, aromatic soup laced with cream. 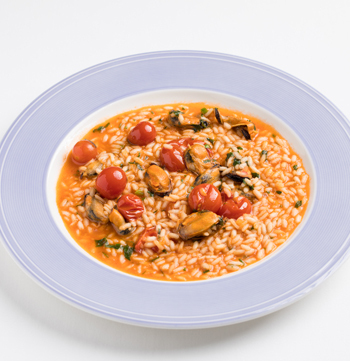 A tangy risotto with the scent of the sea and the tang of tomato.